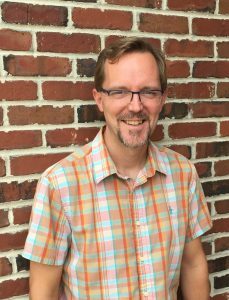 NEW HANOVER COUNTY, N.C. – Cape Fear Museum of History and Science is pleased to welcome Simon Lashford as its museum design coordinator. Lashford earned his bachelor’s degree in theatre arts set & lighting design from Virginia Tech in Blacksburg, Virginia. He relocated from Chicago to Wilmington and was most recently employed as director of design for Redbox Workshop, a full-service studio specializing in design, fabrication, project management and printing services. Prior positions in design include detailer for Architecture is Fun, Scenic View and Chicago Scenic Studio. In addition, Lashford has a background in set design and has worked on several productions in the greater Chicago area. CAPE FEAR MUSEUM IS TEMPORARILY CLOSED AS WE COMPLETE REPAIRS DUE TO HURRICANE FLORENCE. PLEASE CHECK OUR WEBSITE AND SOCIAL MEDIA CHANNELS FOR UPDATES REGARDING A REOPENING DATE. Cape Fear Museum of History and Science, 814 Market Street, is open Tuesday-Saturday, 9 a.m. to 5 p.m. and Sunday 1 to 5 p.m. General admission is $8 for adults; $7 for seniors, students and military with valid ID; $5 for children 6-17; and free for children 5 and under and for museum members. New Hanover County residents’ free day is the first Sunday of each month. More information: www.capefearmuseum.com.